Madina + Omkar hired me as their wedding photographer for their amazing Indian wedding celebration to happen later this fall. 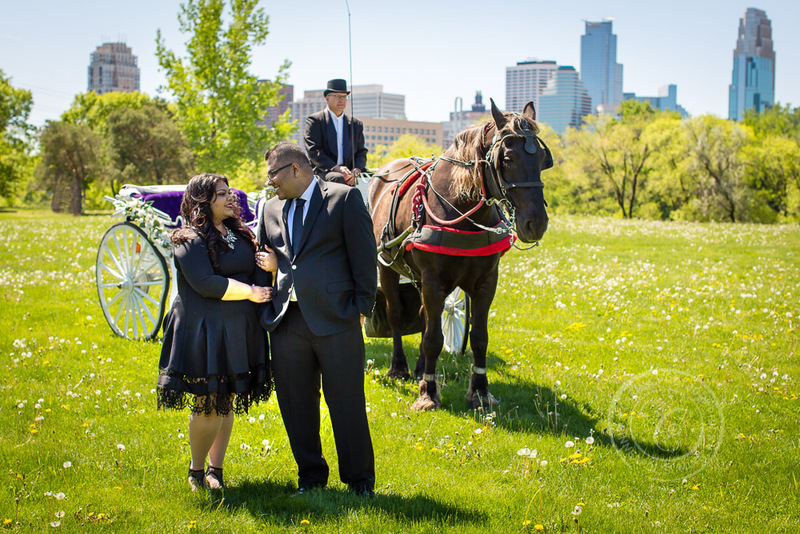 I began working with them as their Minneapolis engagement photographer. They are so sweet, down-to-earth, and happy together. I cannot wait for their amazing celebration! When the weather warmed up this spring, we were finally able to start discussing engagement photos. They had not one, not two, but THREE amazing ideas for their photos. Not only that, but the ideas were so creative. I couldn’t wait! 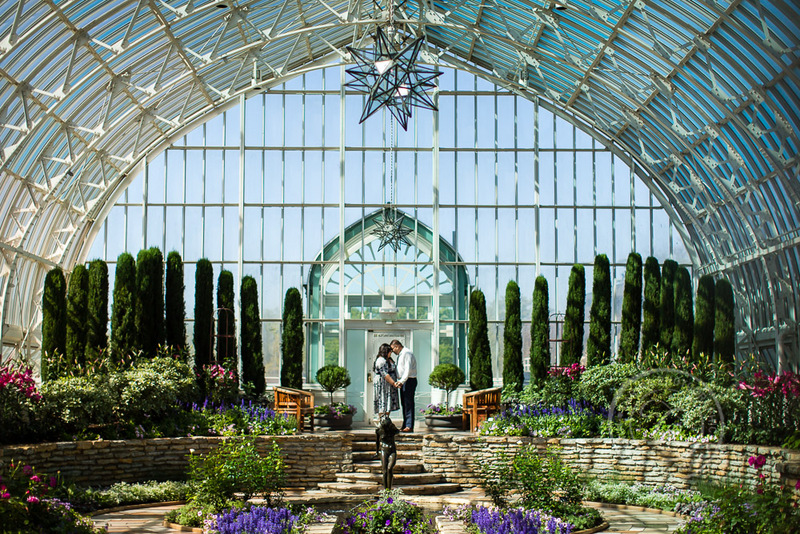 We started the day with Como Park Conservatory engagement photos. First we started outside, near the frog pond, waterfall and pergola. 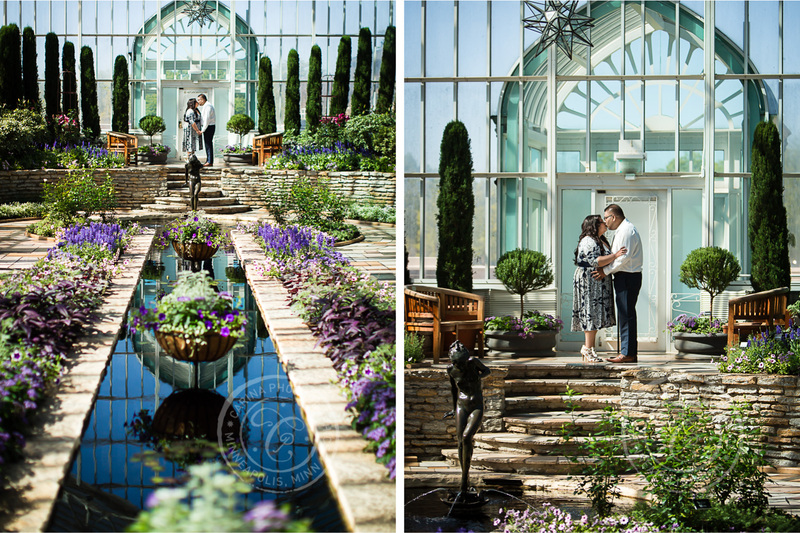 We then worked inside the beautiful glass pavilion among the gorgeous flowers, stonework and fish pond. The weather was completely gorgeous and there wasn’t a cloud in the sky, so the light was amazing! We were able to start early in the morning so the throngs of visitors were not in our way. 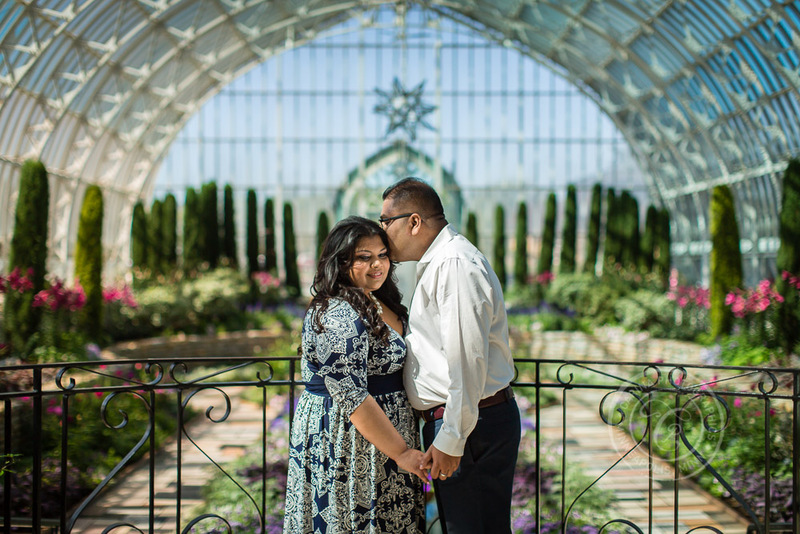 I always love working with couples at the Como Park Conservatory! From there we worked on Boom Island Park engagement photos. They had hired a horse and carriage for this part of the session. 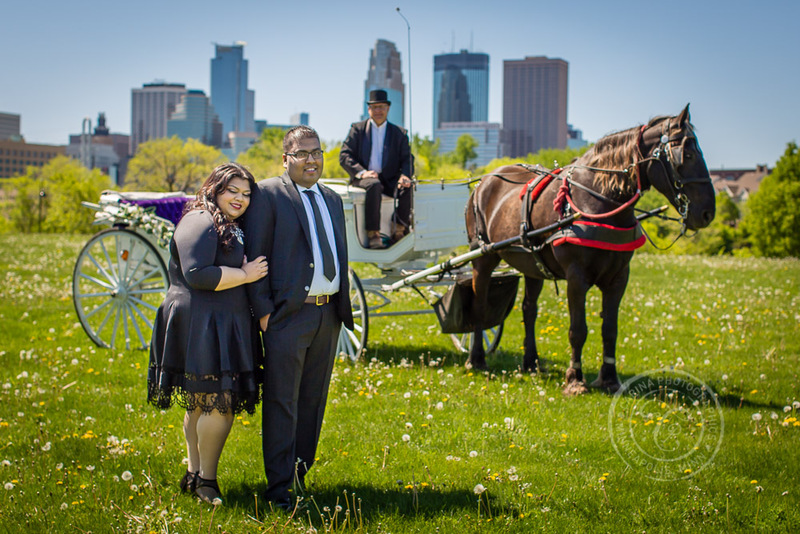 Their goal was to capture the two of them with the horse and carriage in a park in front of the Minneapolis city skyline. Everything was so picturesque, it worked perfectly! 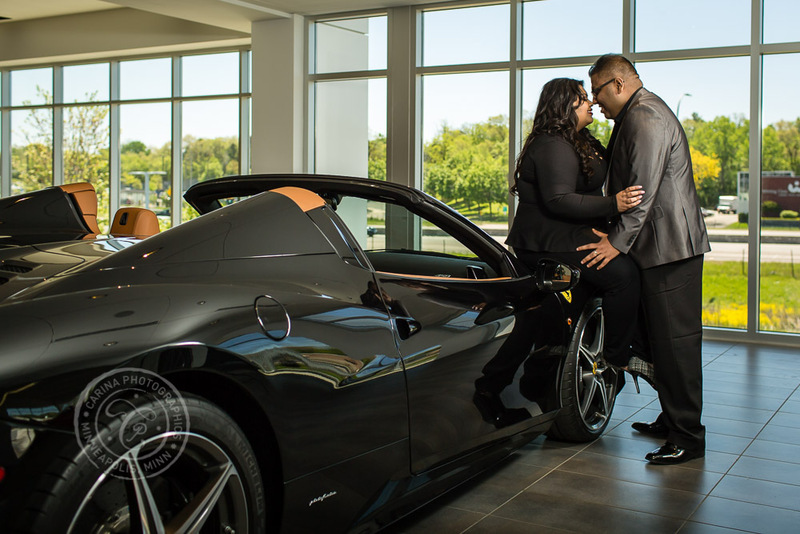 And then last-but-not-least, we headed out to create Ferrari engagement photos. 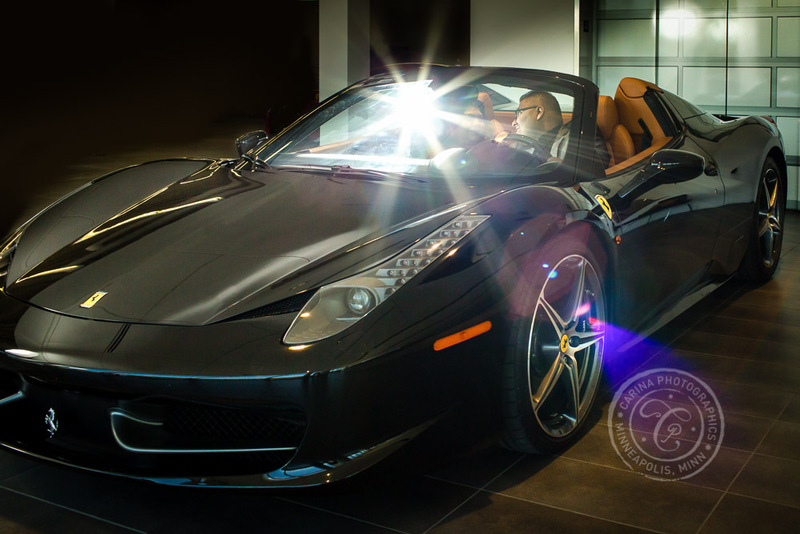 We weren’t allowed to drive the Ferrari since it cost more than an average house! 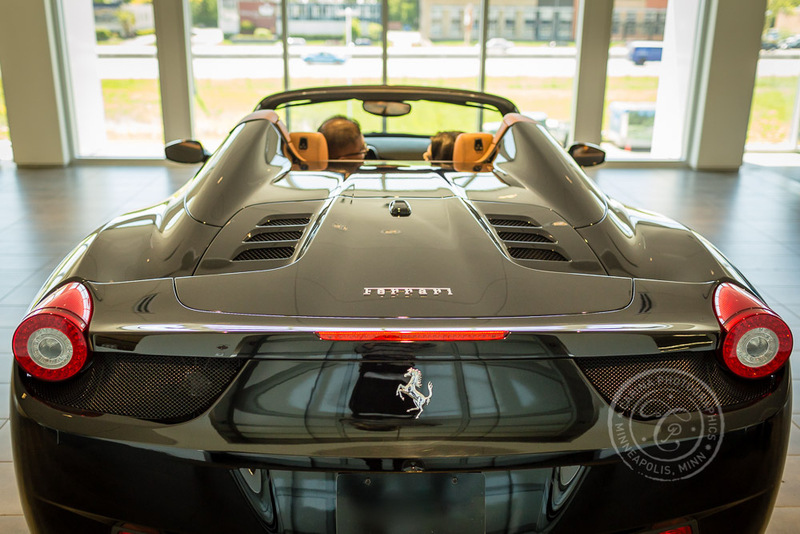 It was a bit challenging to work in an indoor location. But it actually worked really well. A little extra lighting and I think the photos looked amazing. 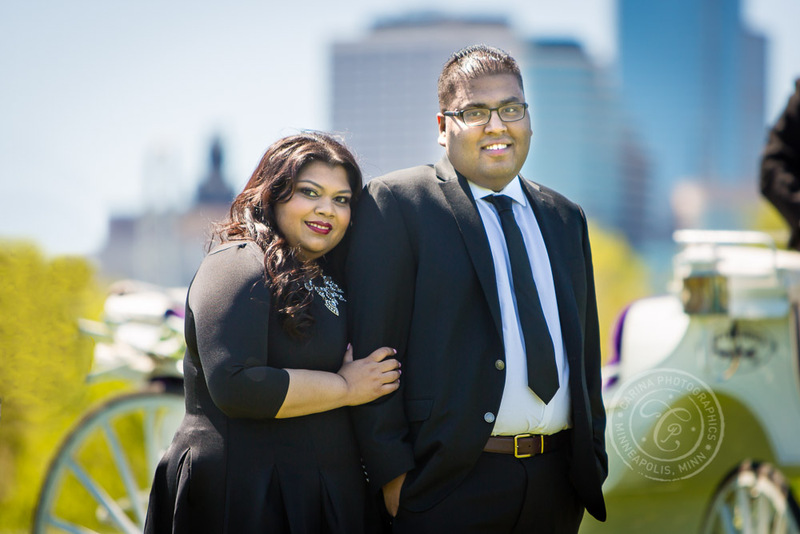 Thank you so much, Madina + Omkar, for working with me on your spectacular engagement photos. I had such a great time working with you and all these fun ideas. 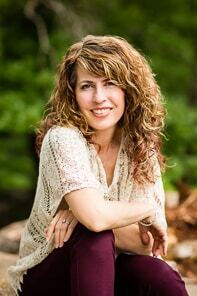 I am so excited for your big event this fall! 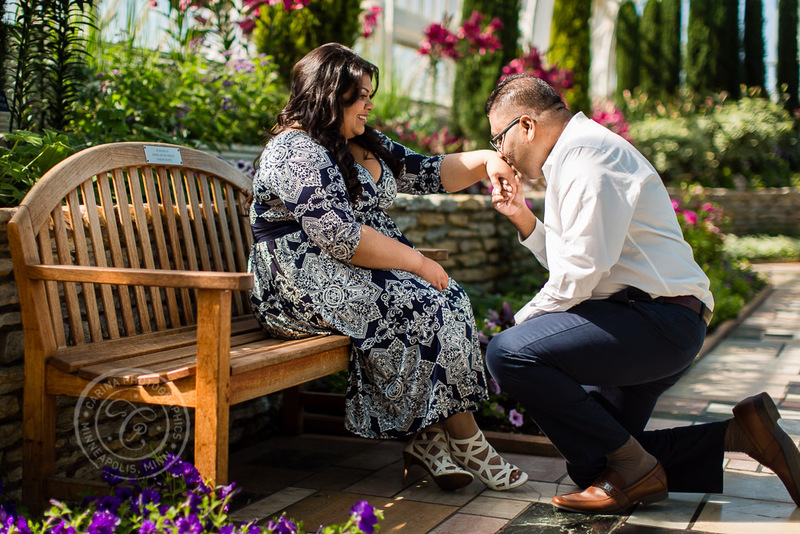 If you’re thinking of having a Como Park Conservatory engagement or prewedding photography session (or want to incorporate a horse and carriage or Ferrari), contact me soon. I’d love to discuss how we could work together! 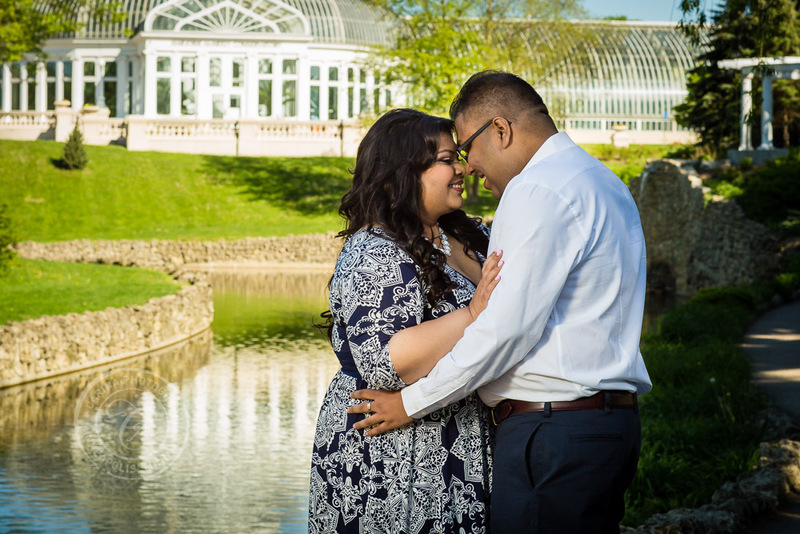 ETA: Take a look at Madina + Omkar’s spectacular Indian wedding photos too!